Fake statements from Qatari Emir Sheikh Tamim bin Hamad al-Thani about Iran and Israel posted on Qatar's state-run news agency that according to the authorities were allegedly made by hackers sparked a regional dispute Wednesday, with the United Arab Emirates and Saudi Arabia blocking Qatari media including Al-Jazeera. Qatar however, quickly denied the comments attributed to ruling Emir Sheikh Tamim bin Hamad Al Thani, but Saudi-owned channels repeatedly aired them throughout the day. The alleged hack has taken place early on Wednesday morning. Qatar News Agency website still was not accessible after several hours. 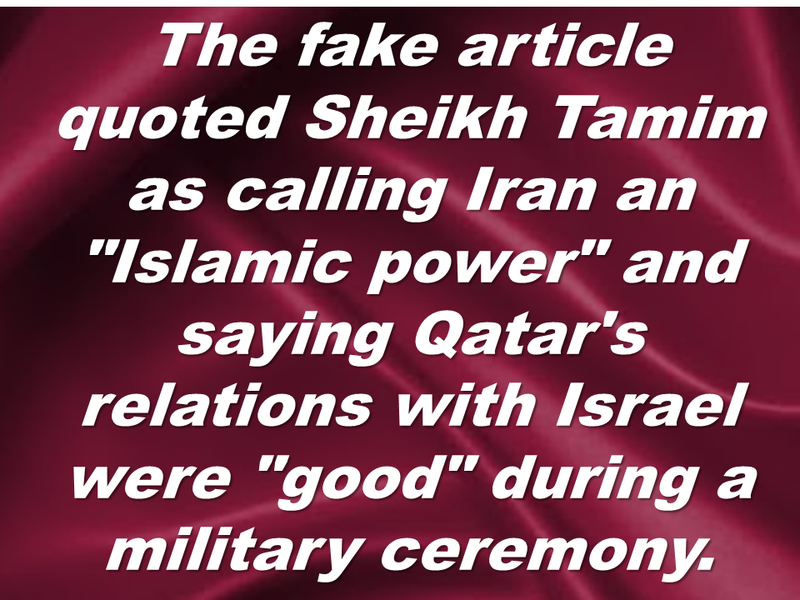 Online footage of Qatari state television's nightly newscast from Tuesday showed clips of Sheikh Tamim at the ceremony with the anchor not mentioning the comments, though a scrolling ticker at the bottom of the screen had the alleged fake remarks. They included calling Hamas "the legitimate representative of the Palestinian people," as well as saying Qatar had "strong relations" with Iran and the United States. "Iran represents a regional and Islamic power that cannot be ignored and it is unwise to face up against it," the ticker read at one point. "It is a big power in the stabilization of the region." A series of tweets from alleged hackers, which has been deleted eventually, saying Qatar had ordered its ambassadors to withdraw from Bahrain, Egypt, Kuwait, Saudi Arabia and United Arab Emirates because these countries are plotting against his country. 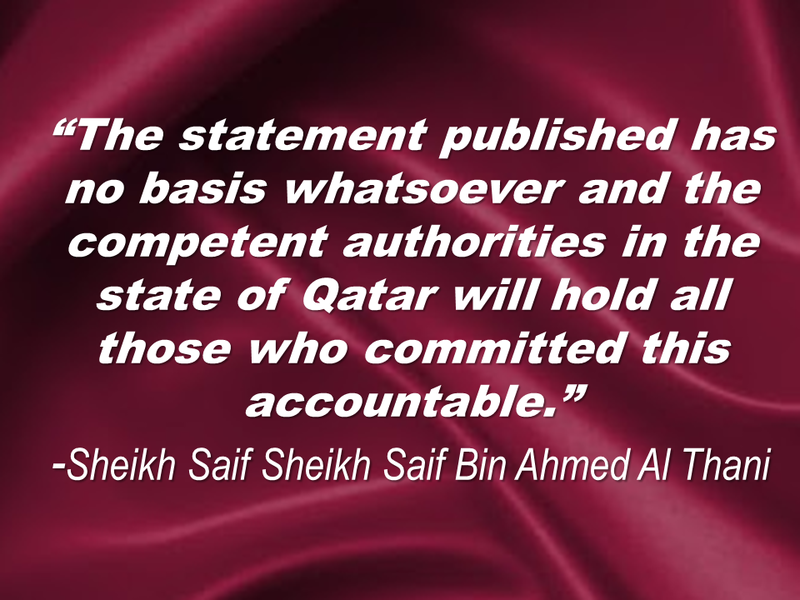 The director of the Qatari government's communications office Sheikh Saif Bin Ahmed Al Thani, has issued a statement saying that investigation was being launched by the authorities. No group has claimed responsibility for the alleged hack as of this writing. 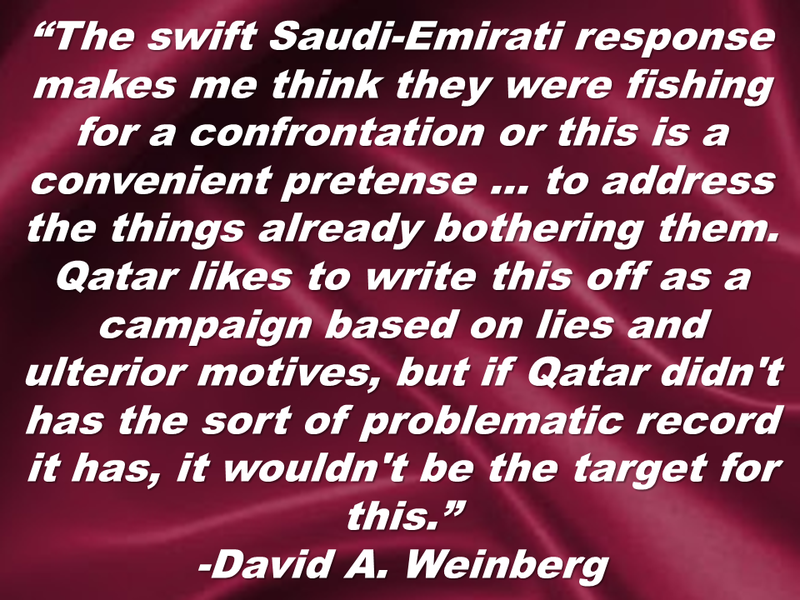 David A. Weinberg, a senior fellow at the Washington-based Foundation for the Defense of Democracies has this analysis on what's going on. 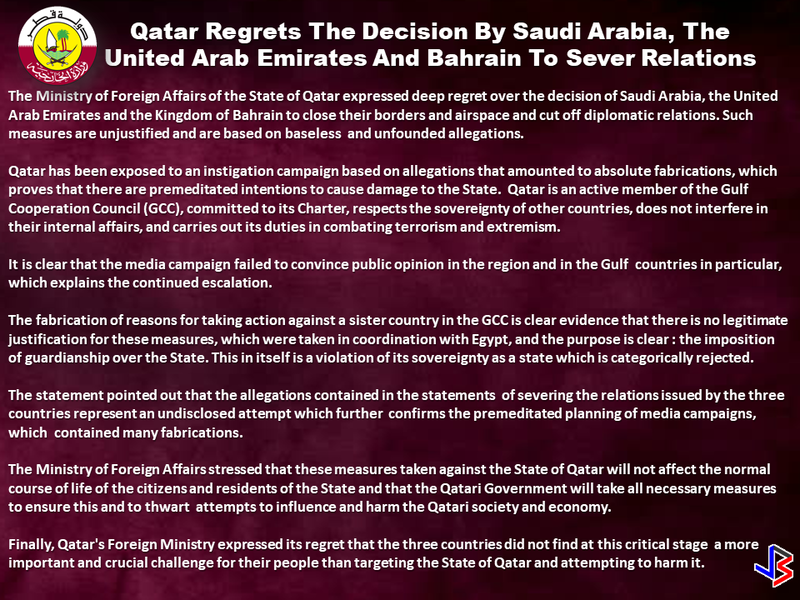 Meanwhile, The Qatar Ministry of foreign affairs released their official statement saying that they regret the decision of their neighboring countries in the Gulf to severe diplomatic ties with them.